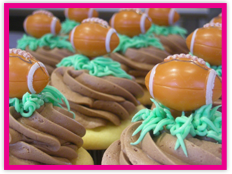 Cupcake Charlie's is happy to be a part of your next event, making it a special day with our gourmet and custom cupcakes. 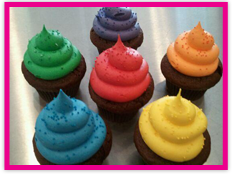 Our cupcakes are a great addition to your next Birthday, Wedding, Graduation, Holiday Gathering, or Office Party. 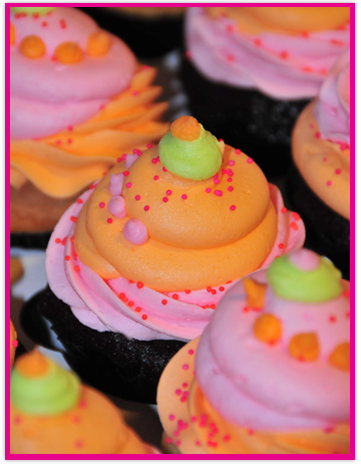 Our bakers are happy to work with you to create your perfect custom cupcakes! 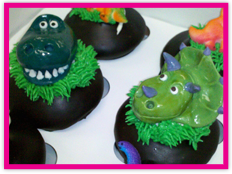 Sorry we cannot accept email or online order requests as official Custom Orders. Delivery and setup options are available to select areas surrounding each shop. Our custom tower rentals are available in a variety of shapes and sizes and are designed for easy setup. All tower rentals are due back the day after your event. 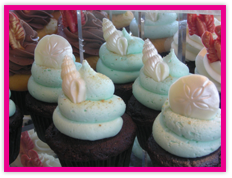 Smaller towers are also available to purchase and hold about 30 cupcakes each. 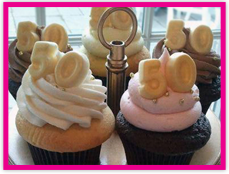 Give the gift of a cupcake with a Gift Card or our specialty Cupcake Tokens! Gift cards must have a $10 minimum startup balance. 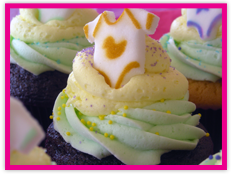 Each cupcake token has the value of 1 cupcake. 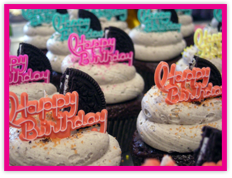 Choose any of the following decoration styles to make your cupcakes unique for your event!